Copper River and Mt. Drum, Wrangell St. Elias National Park, Alaska. 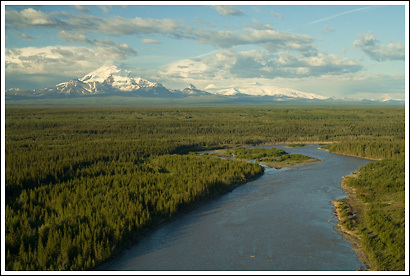 The Copper River runs down the western boundary of Wrangell St. Elias National Park, beneath the Wrangell Mountains and Mt. Drum.